Greene County General Hospital has implemented a temporary visitor restriction after an increase in inpatient influenza cases. The restrictions will protect patients, staff, and visitors from unnecessary exposure to the highly contagious respiratory virus. These restrictions are for visitation only, and do not apply to patients receiving services or attending scheduled appointments. In addition, all visitors are asked to wash or sanitize hands frequently while at the hospital. Hand sanitizer dispensers are available throughout the hospital, in patient rooms, and in restrooms. Hand hygiene is the best and easiest way to control infection, whether at the hospital, or at home. All GCGH employees receive a mandatory, annual flu vaccine to protect patients and staff. Anyone who has not received a flu vaccine can still benefit from its protection. Flu shots are accessible at primary care physician offices, at all My Clinics locations, drug stores, and the Greene County Health Department. A list of primary care providers is available by clicking here. Greene County General Hospital will award two (2) scholarships in the amount of $1062.00. The scholarships are awarded in memory of Dr. Mathias Mount and Eleanor C. Mount. The scholarship recognizes the past service of Dr. Mount, a longtime family practice physician from Bloomfield. Seniors enrolled in a Greene County high school and interested in pursuing a career in healthcare are eligible to apply. Greene County General Hospital will award a $500 Physicians of Greene County Scholarship. This scholarship is in recognition of the physicians of Greene County. Greene County high school students and college students interested in pursuing a career in healthcare are eligible to apply. Ask an OB-GYN- Who Should Have a Pre-Pregnancy Checkup? 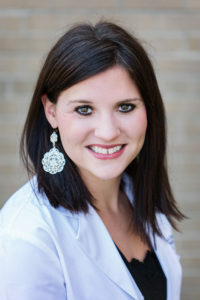 Ask an OB-GYN, Series I, Blog 2- Who should have a pre-pregnancy checkup? Nurses at Greene County General Hospital are being honored with the DAISY Award for Extraordinary Nursing. The award is part of the DAISY Foundation’s program to recognize the super-human efforts nurses perform every day. Employees outside of nursing staff are also being honored with the PETAL Award for exceptional service. 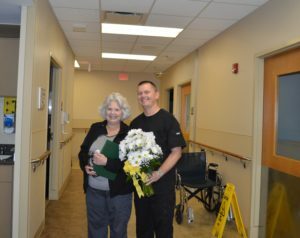 Connie Bedwell, LPN, who works in the hospital’s Emergency Department, was the DAISY Award Winner. Nurses recognized as DAISY nominees include Sarah Chapman, RN, Jacqi Suthard, RN, Jackie Goodwin, RN, CharLene Mowery, RN, Jenna Brown, RN, Blair Cazee, RN, Megan Smith, RN, June Herndon, RN and Jodi Gaither, RN. Christine Smith, who works as an Administrative Assistant to the Primary Care Clinic, was the PETAL Award Winner. The PETAL award, standing for Performing Exceptional Tasks and Affirming Lives, is awarded to an employee nominated by patients or hospital staff. Employees recognized as PETAL nominees include Jodee Wade, Renee Bellman, Deanna McKain, Katie Ludwig, Angel Keene, Jennifer Lash, Raeann Feutz, Saralee Bledsoe, and Alysia Sullivan. To coincide with the DAISY Award, the hospital created the PETAL Award to acknowledge non-nursing staff for providing exceptional service to the hospital, patients, visitors, or colleagues. The employee is also presented with a certificate at a presentation given in front of their colleagues. Ask an OB-GYN- What is a pre-pregnancy care checkup? Ask an OB-GYN, Series I, Blog 1- What is a pre-pregnancy care checkup? Greene County General Hospital is thrilled to announce Dr. Frederick Ridge as Chief Medical Officer. The position of Chief Medical Officer was created out of GCGH’s continuous pursuit to provide excellent patient care. As GCGH works to improve quality, patient safety and satisfaction, the position is necessary to ensure our medical policies and procedures are held to the highest standards and best practices. 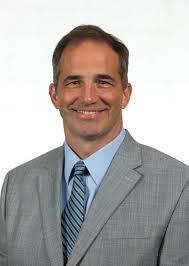 Currently, Dr. Ridge also serves as GCGH’s appointed Chief of Staff. GCGH chose Dr. Ridge as Chief Medical Officer because his experience and understanding of rural health care as a physician serving our communities for decades will better serve the organization. Dr. Ridge’s has a history with rural health in Greene County as he and his wife started and maintained Indiana’s 12th rural health clinic in the early 1990s before folding their practice into the Greene County General Hospital system in 2017. In his new role, his experience and passion for improving the health and wellbeing of our region provides the organization support needed to continuously improve the quality of care patients expect. Dr. Ridge’s responsibilities include drafting and approving policies and procedures on behalf of the organization and working to improve the care and health of patients though local, state and national policy review. 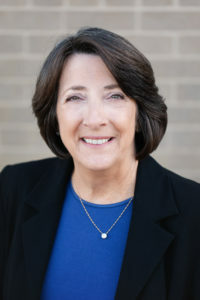 Dr. Ridge has been a delegate to the American Medical Association, American Academy of Family Physicians, and to the state Indiana State Medical Association, Indiana Academy of Family Physicians and Indiana Public Health Physicians’ Association, having served terms as president of all three state societies in the past. 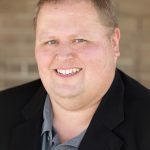 He remains active in these organizations and will represent GCGH to ensure the concerns of patients from Greene County and rural Indiana are addressed. Greene County General Hospital is thrilled to announce that a new orthopedics and sports medicine service line and clinic, named TeamOrtho, is coming soon. Board-certified orthopedic surgeon, Dr. John Hammerstein, will join the GCGH family in August 2019. 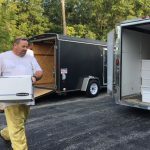 He will perform orthopedic surgical services exclusively at Greene County General Hospital as well as practice in the former Ridge Medical Center building located in front of Greene County General Hospital at 1043 North 1000 West Linton, Indiana 47441. The building is undergoing renovations to accommodate the new services. Greene County General Hospital’s My Clinics have been granted accreditation as Rural Health Clinics through a nationally recognized accreditation organization, The Compliance Team. In addition, the My Clinics have been recognized as Exemplary Providers through the accreditation. All four clinics, My Linton Clinic, My Bloomfield Clinic, My Worthington Clinic and My WestGate Clinic have received the accreditation after an extensive quality assessment conducted by The Compliance Team. The Compliance Team is a nationally recognized accreditation organization that provides industry leading Exemplary Provider® branded accreditation services to healthcare providers based in all fifty states, Puerto Rico and US Virgin Islands. 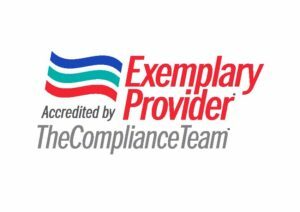 Exemplary Provider® accredited status is granted exclusively to those healthcare providers who demonstrate outstanding patient care practices and compliance to comprehensive Safety-Honesty-Caring® program quality standards as verified and validated by The Compliance Team, Inc., a Medicare-authorized national healthcare accreditation organization. GCGH is also thrilled to welcome nurse practitioners, Cindy Douthitt, NP, Amanda Brinson, NP and Ariel Feltner, NP to the My Clinics family. Cindy Douthitt, NP is located at the My Worthington Clinic, Amanda Brinson, NP is located at the My Linton Clinic and Ariel Feltner, NP is located at the My Bloomfield Clinic. 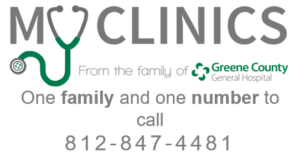 To schedule an appointment with any of the My Clinic providers call 812-847-4481. 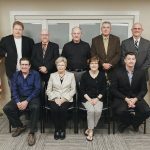 During the November 20, 2018 Greene County General Hospital’s Board of Trustee meeting, the board approved, in a unanimous vote, to acquire new ultrasound equipment. The equipment adds additional ultrasound units to GCGH’s departments as well as provides an upgrade from the current ultrasound technology. The equipment includes two new “Resona 7” Mindray units for the Radiology Department, a portable “TE7” Mindray unit for the Surgical Department and a portable “TE7” Mindray unit for the Emergency Department. The equipment will double GCGH’s current ultrasound equipment availability and increase the scope of services to include 3D/4D ultrasound. 3D ultrasound scans show still pictures of babies in three dimensions. 4D scans show moving 3D images of babies, with time being the fourth dimension. Brenda Reetz, CEO of GCGH, is thrilled the board approved acquiring the equipment, “keeping up with the technology in health care is challenging because it is constantly updating and living in a rural community should not mean that our patients do not have access to the most advanced technology available, we are excited to offer this upgraded system to our patients.” GCGH expects the equipment to be available to patients in about sixty days. According to the Indiana Railroad website, Twitter, and Facebook page, the Santa Train will be in Linton on Saturday, December 1st from 1:30pm until 3:30pm. If you’re unable to visit then, it will also be in neighboring areas the same day. Denise Collins, RN, who works in the hospital’s Infusion Center unit, was the DAISY Award Winner. Nurses recognized as DAISY nominees include Taylor Myers, RN, Kristen Dunkerly, RN, Denise Gambill, RN and Courtney Kennett, RN. Jenifer Reed, who works as a Patient Care Technician in the Emergency Department, was the PETAL Award Winner. The PETAL award, standing for Performing Exceptional Tasks and Affirming Lives, is awarded to an employee nominated by patients or hospital staff. Employees recognized as PETAL nominees include Mickie Jo Anweiler, Tiffany Kessler, Sarah Elkins, Rae Ann Feutz, Megan Sparks, Jamie Cornelius and the entire Maintenance and Environmental Services departments for their work on transitioning the My Clinics. Collins was nominated by a patient of the Infusion Center. The patient was especially appreciative to Collins and the Infusion Center staff for the outstanding and compassionate care experienced during their visits to the unit. Greene County General Hospital Announces Discontinuing Services through Greene County Home Healthcare. Greene County Home Healthcare, a department of Greene County General Hospital, will no longer provide services. During the September Board of Directors meeting, the Greene County Home Healthcare board voted to discontinue operations due to a strategic business decision. The last day of patient care is scheduled for November 30, 2018. The Greene County Home Healthcare Board of Directors include Rae Della Craves, Jenny Crites, Beth Gillan, Kristin Crynes and April Settles. Similarly, GCGH is meeting with employees of the Home Healthcare to discuss employment opportunities. Greene County General Hospital has partnered with an opioid treatment program through Western Indiana Recovery Services located in Terre Haute, IN to present a town hall meeting to be held on September 20, 2018 at Greene County General Hospital. The town hall, featuring a panel from the Hamilton Center, will discuss the opioid crisis and how it’s effecting lives in our community. The meeting, scheduled for September 20, 2018, will be held in the Violet Newton Conference room at Greene County General Hospital from 6 pm until 8 pm. The event is free and open to the public. Greene County General Hospital is thrilled to announce a partnership with the faith-based air ambulance organization, Grace on Wings. Grace on Wings, based in Indianapolis, is a nonprofit organization that provides cost-effective transportation of medical patients in the United States via aviation. The GCGH and Grace on Wings partnership stems from GCGH’s Medical Director of Emergency Services, Michael Gamble, MD also serving as the Medical Director for Grace on Wings. In this role, Dr. Gamble approves and reviews flights while utilizing GCGH as a supervisory hospital for the organization. Grace on Wings is sustained by supporter donations and a volunteer staff of professional registered nurses, respiratory therapists and paramedics. The need for long distant patient transfer has risen due to an increase in the specialization of hospitals and treatment centers. Since the cost of commercial air ambulance is an expense that most insurances do not cover, Grace on Wings volunteers provide this service at a reduced cost to those in need. To qualify for the service a patient must be non-ambulatory, require a medical flight over 150 miles, have a physician’s order to fly, and have an accepting physician or hospice. With the assistance of donors, Grace on Wings has been able to relocate patients with stroke, trauma, cancer, sepsis, prematurity, and renal and liver failure among other ailments. The Grace on Wings fleet includes two pressurized Mitsubishi MU-2 turboprop aircrafts with Dash 10 engines. The aircrafts carry IV fluids and medications on-board as well as cardiac monitors, defibrillator pacers, blood pressure monitors, portable ventilators, IV fluids and other medical equipment. For more information on America’s only charity air ambulance, Grace on Wings, visit their website: graceonwings.org. WVCF has 5 Level 1 Security Offender Work Crews. The offenders provide free help to Sullivan, Knox, Greene, Daviess, Vigo, Vanderburgh, Clay and Parke Counties! Greene County General Hospital’s medical clinics, My Clinics, in collaboration with the Indiana Rural Health Association (IRHA) have partnered with WRV Elementary to offer healthcare services via telehealth technology, a first for the county. This school-based service provides students the opportunity to see a licensed health care provider without leaving school. Telehealth is the use of telecommunication and information technology, known as Agnes Interactive, which provides clinical healthcare from a distance. When a student presents symptoms that are beyond the scope of care for the school nurse, the student will be seen by a My Clinics’ licensed provider via the Agnes Interactive software two-way video and virtual diagnostic equipment. Exams requested by this provider will utilize the interactive technology that allows a high-resolution visualization of the student’s ears, throat, and skin as well as a high-fidelity sound of student’s heart and lungs, resulting in an accurate medical assessment without the student needing to leave school. The services provided at WRV Elementary via telehealth include diagnoses and treatment for acute illnesses such as strep throat, ear infections, rashes, and influenza as well as the treatment of minor injuries, limited laboratory testing, and the management and ongoing care of existing medical conditions such as diabetes and asthma. 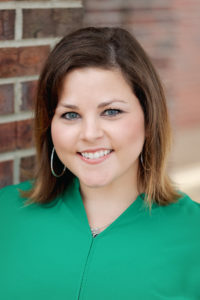 Greene County General Hospital’s Director of Nursing, Kristin Crynes, will oversee the WRV school nurse program to ensure the services offered are in compliance with Indiana Department of Education’s regulations. To participate in the program the student must have prior parent/guardian consent and fees are appropriately billed to insurance by the My Clinics. WRV School Corporation received a grant for funding and program support from IRHA to establish the services. The IRHA launched the first telehealth clinic in 2016 in Elwood and plans to open five per year in Indiana from now through 2020.